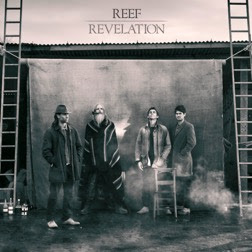 Reef have announced details of their new studio album Revelation, out May 4through earMUSIC on CD, LP, download, and via stream. The album is the revitalized west-country quartet’s first studio album since 2000’s Getaway, their first with new guitarist Jesse Wood, and their first with new label earMUSIC, Europe’s premier rock label. In 2016, Reef returned with their first single since 2003 — “How I Got Over” — which was A-listed at BBC Radio 2 and saw the band perform live on Chris Evans’ radio show and on The One Show on BBC1. Reef were personally invited by Chris Martin to support Coldplay at Wembley Stadium, and also released their live album Reef: Live At St Ives, recorded over two sold-out nights at St Ives Guildhall. Reef formed in 1993 and were quickly signed to Sony imprint S2. They released nine Top 40 singles — most famously “Place Your Hands” — and four studio albums, including 1996’s platinum-selling No.1 album Glow, plus greatest hits album Together, before disbanding in 2003. Their hiatus came to an end in 2010, when they were tempted into reuniting for a short tour. In 2014, Jesse Wood, formerly of the Ronnie Wood Band/Faces/Red Racer, replaced original guitarist Kenwyn House after he amicably left the band to pursue other projects.